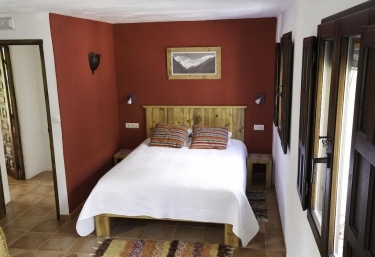 Located at Sierra de Güeja r, in the province of Granada , this cozy 2-storey house y surrounded by a privileged environment makes all tenants can enjoy a spectacular experience. It has a total d e 3 double rooms . 2 of them have double beds and the rest is made up of 2 single beds . All of them have a cozy furniture composed by sofa and side table. In addition, all users will be able to enjoy the wonderful views of the surroundings through the windows and balconies that complete each of the rooms. As for bathrooms, each bedroom has its own toilet privado. These bathrooms are made up of a large walk-in shower, vater, sink and bidet. Also, all are exterior so they have their own window overlooking the sierra. 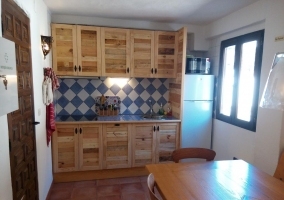 The property has a full kitchen with wooden furniture, all appliances and a dining table to enjoy the different meals in group. It is important to note that breakfast is served at this table when it is rented by rooms. As for the living room , it consists of several sofas, television and a wide collection of games de table and books to entertain the getaway. 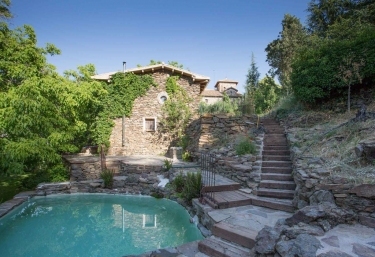 This spectacular country house is even more so thanks to the large terrace located on the top floor . With various garden furniture, users have the possibility to have breakfast on this exterior that offers a wonderful view. 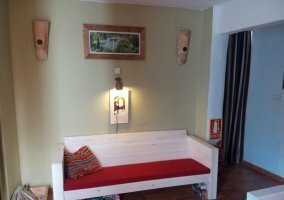 As for the services offered by the establishment, the breakfast service, the available crib, and the free WIFI connection . Rooms with bed double marriage or 2 single beds . In addition, it is possible to include a extra bed which increases the capacity up to 3 people . 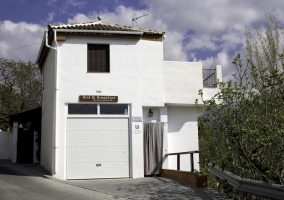 All of them have heating systems and private bathroom, in addition to panoramic views of the surrounding environment of the property. When making rent by room, the breakfast is included. 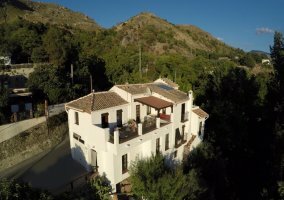 There is also a huge range of activities to be done in the vicinity of the home: cycling, hiking, horse riding, weighing, skiing, boat trips, canyoning, climbing, hunting, golf and even the possibility of collecting mushrooms. 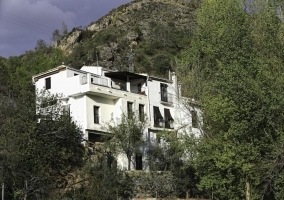 Just 30 kilometers from Granada airport, Arroyo de la Greda is an ideal destination for nature lovers, since it is not only 30 minutes from the ski resort of Sierra Nevada , but also surrounded by Embalse de Canales, the Genil river, the coast of the Mediterranean Sea and the Pradollano ski lift. In fact, this location also allows for more cultural tourism thanks to its proximity to the capital of the province. 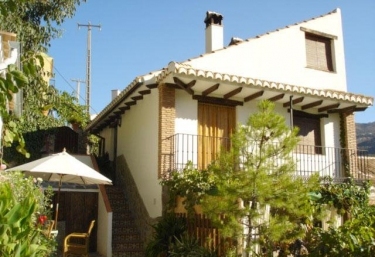 In this way, it is also possible to enjoy the Alhambra , the Generalife , the magical viewpoints of Granada, the spectacular neighborhood of the Albaicín , the Cathedral or the Plaza de Toros of Granada, the Monastery of La Cartuja or the Science Park of the city, only 15 kilometers away. In other words, it is an ideal destination for those travelers who are passionate about rural, adventurous and cultural tourism.